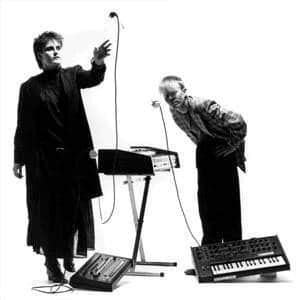 Yazoo (known as "Yaz" in the U.S.) were an English synthpop duo from Basildon, UK. Yazoo were formed in early 1982 by former Depeche Mode songwriter Vince Clarke (synthesizers) and English singer Alison Moyet (vocals) and signed to Mute Records in the United Kingdom. According to Songfacts, Clarke and Moyet each contributed songs, but wrote separately Their debut single "Only You" was released on 15 March 1982 and rose to number 2 on the UK charts. They also released two studio albums: Upstairs at Eric's in 1982 and You and Me Both in 1983. .